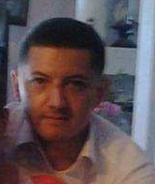 Miguel Ernesto Guardado Jr., a 42-year-old Latino, was found dead Monday, March 11, in the 25600 block of Pacific Coast Highway in Malibu, according to Los Angeles County medical examiner-coroner’s records. Shortly after 2 p.m., deputies from the Los Angeles County Sheriff’s Department responded to a call about a dead body and found Guardado on the beach, unresponsive, according to a news release from the department. Guardado was pronounced dead at 2:15 p.m., according to coroner’s records. At first, foul play was not suspected, but after an autopsy, the death was ruled a homicide by the coroner's office. Guardado had been shot in the upper torso. The department did not release additional information about the killing. Claudia Navarro, Guardado’s cousin, said he was a caring man who was like a “big brother” to her. Alexander Dylan Wharton, a 47-year-old male, died Tuesday, Jan. 30, after sustaining blunt force trauma in Malibu, according to Los Angeles County Medical Examiner-Coroner's records. Oscar Avila Mendoza, a 23-year-old Latino male, died Friday, July 16, in Malibu, according to Los Angeles County coroner's records. Christopher David Kamsler, a 43-year-old white male, died Friday, June 23, in Malibu, according to Los Angeles County coroner's records. Guillermo Tomar Ramazini, a 42-year-old Latino male, died Wednesday, June 15, after sustaining blunt force trauma in Malibu, according to Los Angeles County coroner's records.